Janelle loves to work on different aspects of a cappella music, whether beatboxing, arranging, recording videos with friends, or performing live. Her Arrangement of "Elastic Heart" is the winner of Best Arrangement at the 2015 ICCA Mid Atlantic Quarterfinal, and her voice can be heard on the Best of College A Cappella Compilation. Check out some studio tracks and the latest tunes below! Janelle is a 2015 CARA AWARD NOMINEE for "Best Mixed Collegiate Solo" !!! Check out the official Nominee list HERE. 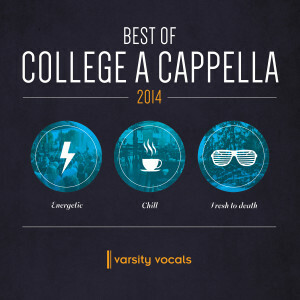 Janelle's solo, "Death of Communication," can now be heard on Varsity Vocals Best of College A Cappella 2014. Take a listen to track 16!